Want to know how crazy we’ve gotten to with Week 5 of fantasy football in 2015? Andy Dalton and Devonta Freeman are the two of the three highest scoring fantasy players this season. Carson Palmer and Tyrod Taylor are No. 5 and No. 7, respectively. None of this is that unusual as it’s really how fantasy plays out each year. There are offenses on the rise, where players on that team are much more likely to score or breakout. 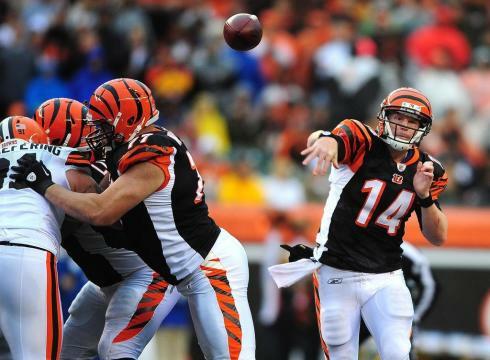 The Cincinnati Bengals, New York Giants, and even Oakland Raiders to some extent could qualify. Then there are players who can’t be sat anymore. I’ve had Cam Newton on this list before, but he’s carried his whole offense and can’t be sat at any times now. Here are our Week 5 fantasy football picks! 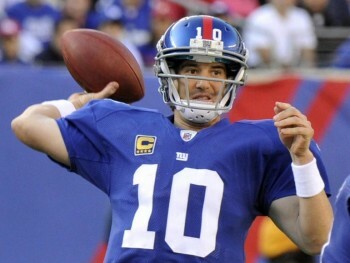 Eli was successful against that tough Buffalo Bills defense, even though he did throw a pick. Rueben Randle is coming on for him and this week he’s got the 9ers. I would even consider Rashad Jennings in some leagues because he’s catching a lot out of the backfield. He’s back on the list… again. I know he hasn’t done much when I put him here before, but last week was his best week fantasy wise, and he could have another nice game against the New Orleans Saints. There’s still that risk because he is Sam Bradford, but he could be worth the chance. He had his first 100-yard game, now it’s time for his first touchdown of his career. The Buccaneers have allowed at least 23 points in fantasy three out of the four games, so he’s got that going for him. Yeldon gets a lot of touches and is in line for a good one. Get this guy in daily leagues and don’t think about benching him for season leagues. He shredded a nasty Cardinals defense last week. Against a decent Packers run defense, he’s gonna get touches and if he’s as good as he looked last week, he’ll rack up points. Maclin has almost 300 receiving yards over the last two weeks and 24 targets. It’s a stretch to think he’ll get into the end zone at this point, but he should get at least 70 or 80 yards. Great flex option and a touchdown would be a bonus. At least 10 targets in his last two games after coming back from injury, Evans makes this list again with a match up with the Jacksonville Jaguars this Sunday. Eventually he’ll start finding the end zone like last season. He’s put up big numbers the last two weeks and been a staple on the Bill’s offense. Now he plays the Titans. Yes, the second-best fantasy player is in the “sit ’em” category. Seattle Seahawks. That’s who he’s playing and there’s no way he’ll have a giant day against them. He sits again, this time with a matchup against the Cardinals coming up. Even if he wasn’t facing all these tough opponents, he hasn’t looked good enough to start. 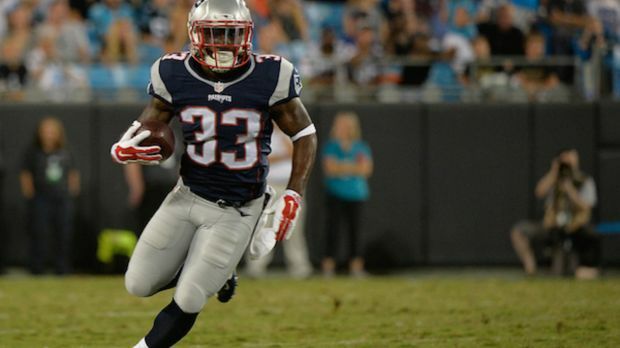 It’s just to hard to predict what the Patriots running back situation is going to be like. LeGarrette Blount has been getting the goalline carries but Lewis has stepped up into Shane Vereen’s old role as the pass catcher. I don’t think he scores more than eight to ten points per game the rest of the year, and Blount could be a better option. A goal-line fumble hurt him a lot last week and Darren McFadden had a bunch of second half carries. He’s slated to start this week against the Patriots but he might split carries with DeMarco Murrau. Also, all the catches out of the backfield go to Lance Dunbar, so that takes away a few points from him every week. 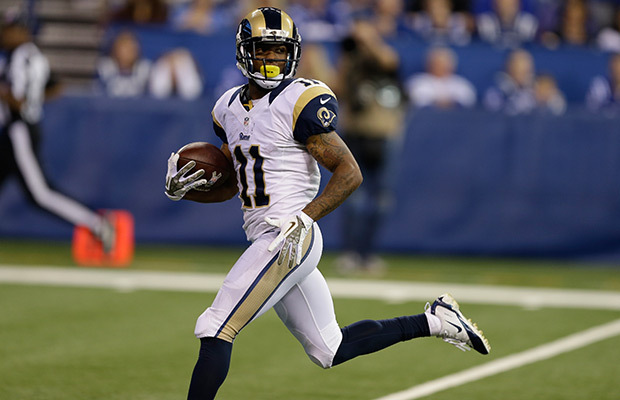 Don’t start Tavon Austin because he’s cheap and he had two scores last week. That’s all that needs to be said. Marcus Mariota’s favorite target plays the Buffalo Bills who just shut down Odell Beckham, Jr. last week. 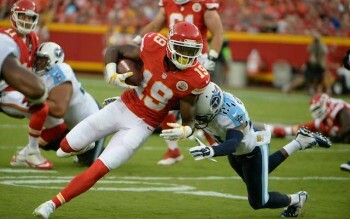 Delanie Walker isn’t a bad play, but Buffalo will likely try and take Wright out of the game. After leading the Rams in yards and targets the first two weeks (and making the start ’em side!) he hasn’t done anything since. 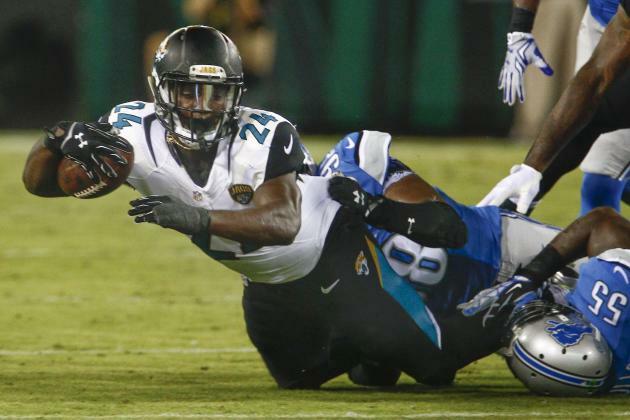 The post Week 5 fantasy football advice: Start ’em and sit ’em appeared first on GuysGirl.